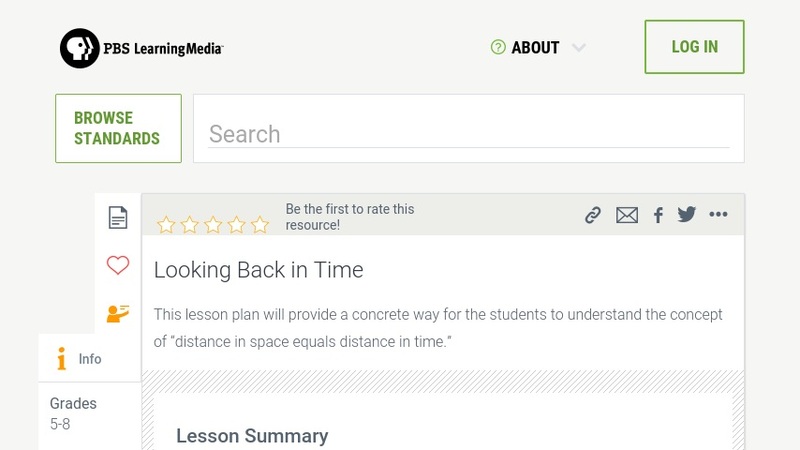 This lesson plan will provide a concrete way for students to understand the concept of distance in space equals distance in time. This is done using information gathered from a timeline activity in Lesson 1: Earth, the Universe, and Culture. Students experiment with how distances are measured in space and create timelines to demonstrate the concept distance in space equals distance in time. This lesson is part of the "Swift: Eyes Through Time" collection that is available on the Teacher's Domain website.